To sit at Miss Major Griffin-Gracy’s feet is a gift. I’ve experienced it firsthand, with her fixed, embracing gaze, her mischievous, generous laugh, and her sharp tongue lashing unfiltered truth without the ache to impress or perform. 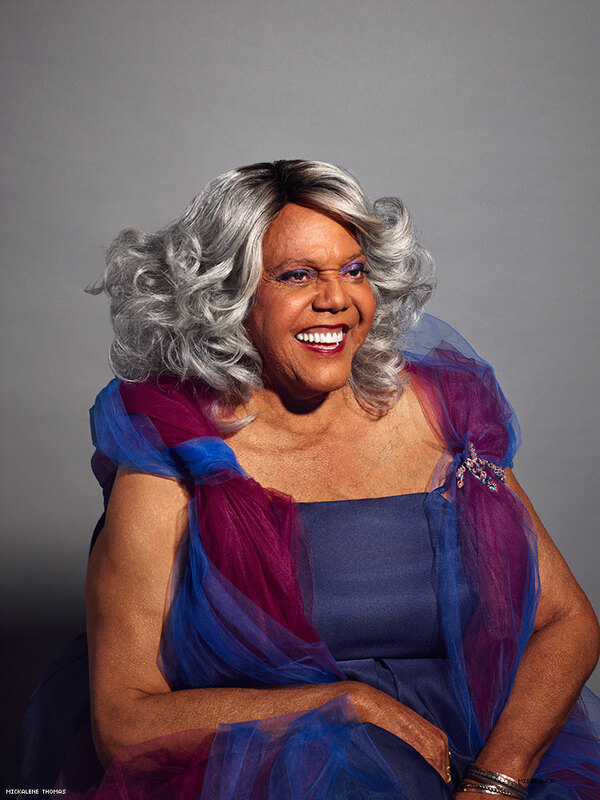 One marvels and cherishes the rarity of her presence: big, bold, and Black, a trans woman existing at 78, when the life expectancy of her daughters and sisters clocks in at a fraction of her age. Miss Major has dedicated 50 years of her life to organizing for trans women of color. She is a veteran of the Stonewall riots, a survivor of Attica Correctional Facility, and the founding executive director of Transgender, Gender Variant, Intersex Justice Project (TGIJP), a nonprofit that centers and supports trans, gender-nonconforming, and intersex people in and out of prisons, jails, and detention centers. And when most wept at the election of Trump, Major persevered in her retirement, moving from the comfort of home in San Francisco to Arkansas, where she heard a call to help the trans community build a stronger movement. In Little Rock, she’s building the Griffin-Gracy Education Retreat and Historical Center, lovingly known as the House of GG. “It’s a respite, an oasis, giving my people an opportunity to relax and learn what they need to negotiate through society,” she tells me. “It’s not a compound. I don’t want them to feel they need to run and hide to live.” With House of GG, Major is creating a much-needed safe space for our community, giving them access to one another, themselves, and one of the only Black trans elders who knows them because she’s been where they’ve been: behind bars, on the streets, in the movement. The first time I sat at Major’s feet was 2013, and I was caught up in her rapture. I hadn’t known I needed her until I met her, until she called me her daughter. I had never felt as seen. I’ve since learned that Major has mothered many women in the movement and on the streets, in prison cells and the academy. When I think of Major, I think of the monthly calls and voice messages she leaves for me with such tenderness, embracing me despite the distance, letting me know that someone is proud of me, thinking of me, caring for me when oftentimes I may not care for myself, or feel I am doing enough, or am enough. We all deserve such a person, and Major has been that for hundreds of trans women aching to be loved and affirmed. She’s the mother we all deserve.